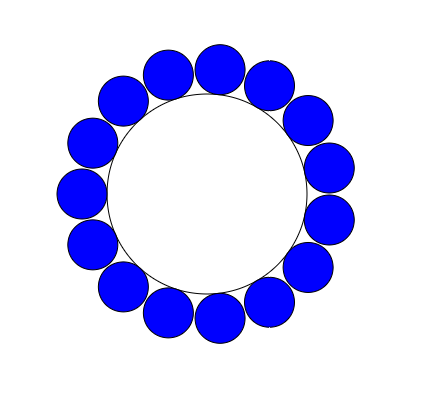 The calculator below can be used to calculate the maximum numbers of rollers on a shaft - or - the maximum number of circles on the outside of an inner circle. The calculator is generic and any kind of units can be used - as long as the same units are used for all values. Engineering ToolBox, (2014). Circles on the Outside of a Circle. [online] Available at: https://www.engineeringtoolbox.com/rollers-shaft-d_1906.html [Accessed Day Mo. Year].